Real carnations are hard to find, and the ones that do turn up in flower shops are desperately bereft of that burning spice they used to give off when I bought them from gypsies in Seville… Fragrances? Floris’ Œillet Malmaison (Floris) and Roger & Gallet’s Œillet Mignardise (except in soap form) have been chucked into the dustbin of history. L’Air du Temps has ditched most of it; Poivre and Bellodgia are ghosts of their former selves. But when you smell vintage Carons, or old Guerlains like L’Heure Bleue, Mitsouko, À Travers Champs or Cachet Jaune the way God (a.k.a. Jacques G.) intended them to be, you realize just how much carnations fired up the perfumers of the Golden Age. Today, between IFRA-enforced Brazilian wax jobs on formulas and marketing-driven eradication of the note as “old-ladyish” (of course, since any note that’s not offered for a while will tend to go out of fashion), we’d just about given up on the beleaguered blossom. Then, BOOM! 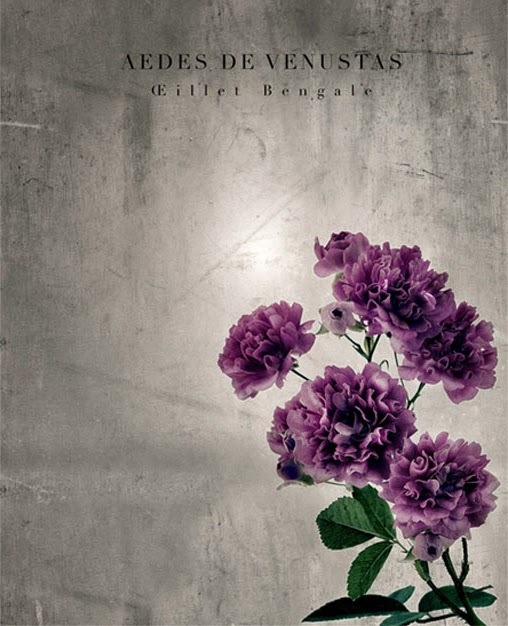 Aedes de Venustas co-owner Karl Bradl reached out to Mexican spitfire Rodrigo Flores-Roux – the Givaudan perfumer, who’s got both red and flowers in his surname, was born to grow what the brand calls “a flower on fire”. 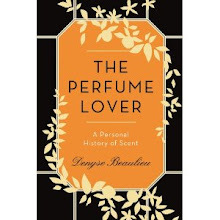 Oeillet Bengale demonstrates the way words and notes can cross-pollinate when a fragrance is developed like a poem. The initial concept sprung from a print by Pierre-Joseph Redouté, the artist who depicted the roses developed for Empress Joséphine in her garden at the Malmaison. The flower is actually a rose despite being called a carnation, and the idea of a rose stuck with an identity crisis appealed to Karl Bradl. With their fiery scent and jagged petals, carnations smell explosive and look like fireworks. Neither the artistic director nor the perfumer thought of Bengal fire when they worked on the Oeillet Bengale – though their muse’s name did suggest the Bengal tiger that lurks in the ambery base notes. The pyrotechnical subconscious of the project emerged as an afterthought (or rather like the backdraft of the blaze). The fire was there all along, in frankincense that is the trademark of Aedes: it sets off the powder keg. The old-school rose-and-ylang carnation accord is centered on Givaudan’s methyl-diantilis, which smells like iso-eugenol with guaiac, vanillin and slightly burnt facets (though unlike iso-eugenol, it is IFRA-compliant, in case you wondered how such a clove-y blend made it through the regs). This accord – with green lily and tiny strawberry effects – is stretched between the bright bergamot and black pepper top notes (the latter boosting the peppery facets of the former) and the more animalic white pepper extracts that dirty up the amber and balsams base. Thought it revives the grand, glamorous tradition of carnation fragrances like Bellodgia, Oeillet Bengale shows its edgy, decadent streak by brushing its petals with black, almost singed notes. Fiery at the outset, it quiets down to a slow burn of sizzling resins that flares up in the wind – this isn’t so much a sillage monster as an airborne perfume. For reviews of the brand’s previous offerings, Aedes de Venustas signature and Iris Nazarena, click here and here. "IFRA-enforced Brazilian wax jobs on formulas" - HAH!! Holy cow. This is quite a performance. I can make out the rose and ylang if my nose is right down in it, but from a few inches away it blends and morphs. The vanilla from the ylang and the pepper SEEM like carnation, although you can still make out the separate parts. Creamy pepper, if that's possible. Wow. I think Sr. Flores-Roux and I are going to get along quite well. Especially since you're a "rousse"! Happy you love this, it's one of my favorite of the year so far. 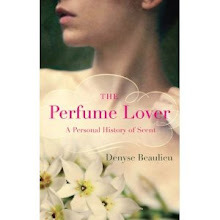 I just had to check, but this *was* the one that really intrigued me, when you wrote about your top ten spring perfumes. It still does; I do have a thing for a good carnation note, the peppery way it takes a scent into (as you said) trouser-role territory. Of course my favourites are dc'ed Terracotta voile d'ete, Adieu Sagesse and Metallica. Brilliant! "IFRA-enforced Brazilian wax jobs"- best IFRA metaphor I've come across. Yes, it is totally a parfum-en-pantalon. I also loved Terracotta voile d'été, in fact I've still got some left (and a bottle of Metallica in its Metallys iteration). Adieu Sagesse is set to be revived pretty soon -- we'll see whether it sports a 70s bush or not! This sounds really good. I still mourn the half full bottle of Floris's Malmaison I gave to a friend as she loved the smell, only to find it discontinued. But you have reminded me that I still have some Terracotta Voile d'Ete, so until I get Oeillet Bengale, that will do! And I too love your phrase about IFRA restrictions. Thank you! I shall buy the R&G soap (I always enjoy their soap bars)! So glad to see I can now comment again as a Name rather than having to have a Google account. This perfume sounds very interesting, looking forward to sniffing it in Sept. when I get back to the states. Oh, wow! That truly sounds breathtaking. I agree, Aedes is a brand that really seems like it's got a *point of view*. Can't wait for the next ones!